PokerStars is making more inroads into the world of chess with the help of team pros Daniel Negreanu, Liv Boeree and a unique tournament. The event is set to place on October 14 and will see the poker pair join forces with chess experts Daniel Rensch and Jennifer Shahade. When the action gets underway at 1pm PDT, fans will be able to watch Hand and Brain via PokerStars’ Twitch stream as well as the platform’s official chess channel. Although Negreanu and Boeree are chess novices at best, they’ll have help from the pros. When the action begins, the chess pros will give their teammates a range pieces to move. It will then be up to the poker players to pick a specific piece and where to move it. To up the ante, a speed-chess format known as blitz will impose a 10-minute time limit on each match. In total, the quartet will compete in a five-match showdown, with the winner being the first one to three. Of course, this isn’t the first time poker and chess have come together. 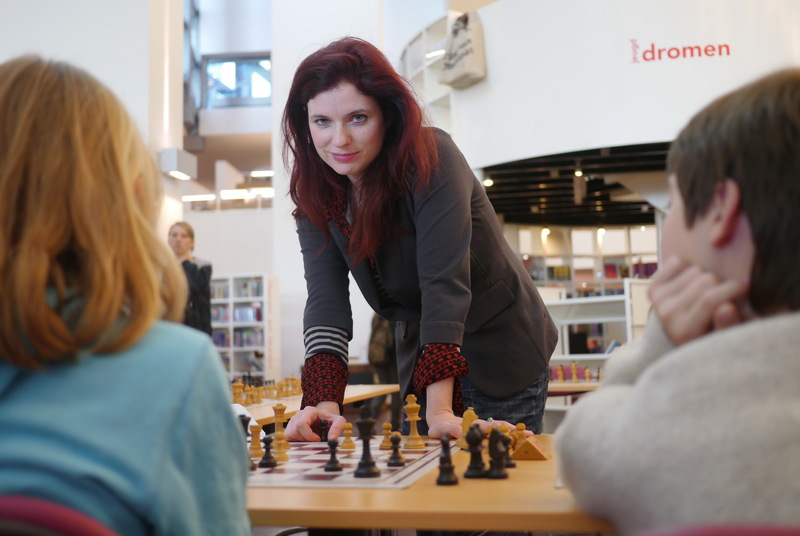 Shahade herself is a poker player and helped PokerStars organize a number of chess events in the past. Most notable was a poker/chess challenge back in 2014. Part of the UKIPT Isle of Man festival, the £220/$290 tournament started with a series of chess matches that were used to determine each player’s starting stack. Depending on how they performed in the chess portion of the event, players started the poker leg with a greater or lesser amount of chips. From here, things played out like any other Hold’em tournament until a winner was crowned. Following on from previous innovations, Hand and Brain is taking the concept of chess-poker to a new level. In essence, the event will force Negreanu and Boeree to use their powers of reasoning and strategy to make the best moves with a given set of variables (i.e. the range of pieces they’re told to move). As an event, Hand and Brain will solidify the notion that poker is a skill game. Although some people still assume poker is all about gambling, events like this are helping to change perceptions. Indeed, by fusing the two games in a unique format, PokerStars is helping to dispel the myth that poker is all about luck rather than skill.